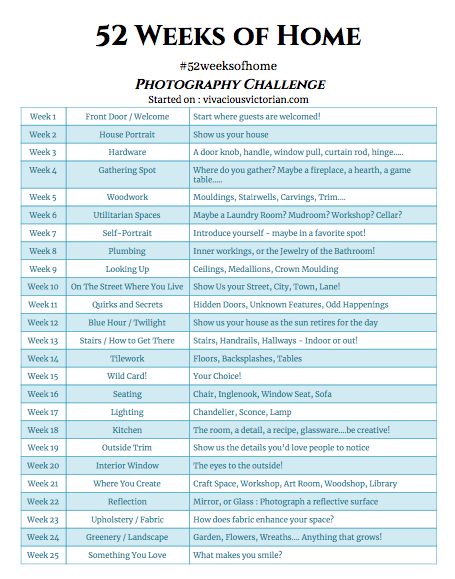 52 Weeks of Home : Week 28 : Wildcard! There are a couple of wildcard weeks in the challenge, which seems great because you can do ANYTHING, but sometimes it’s hard t pick what to do. 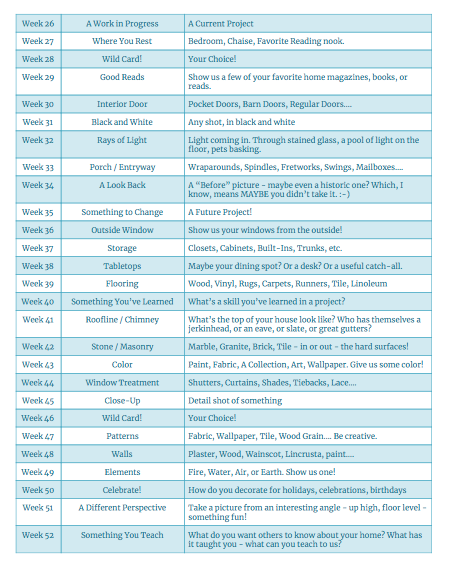 I was having trouble, and then it became really easy, because of what I’m getting ready to start! 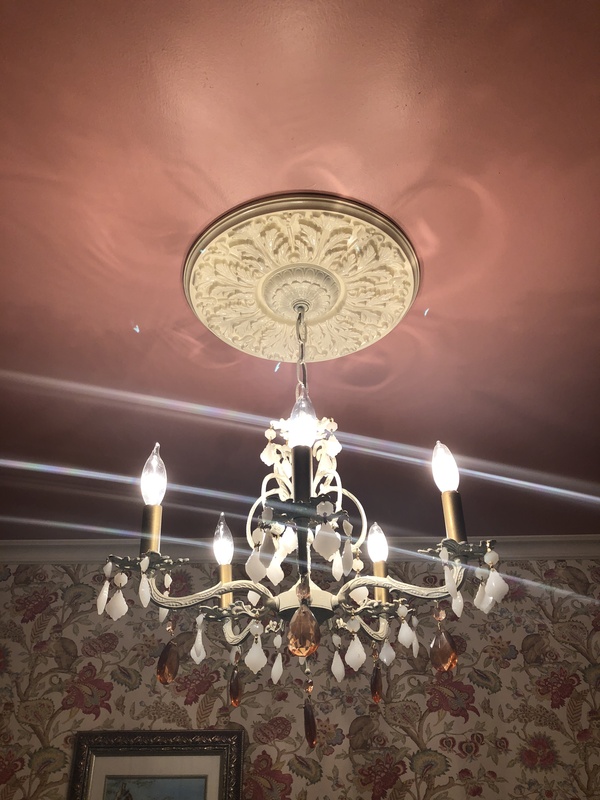 Show us what you want – for me, it’s making historic lights feel even more special! 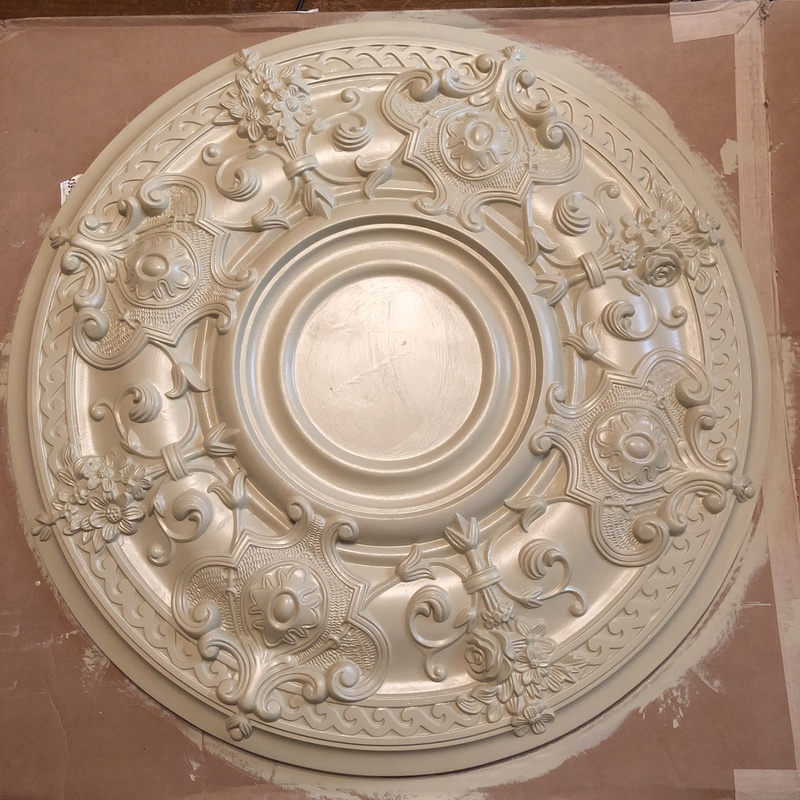 I’m getting ready to start the painting for the ceiling medallion in the study. 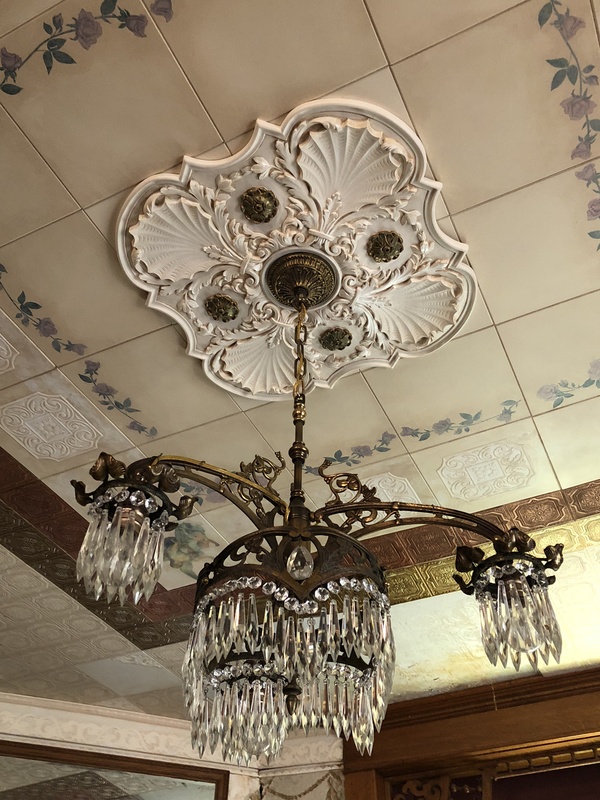 Ceiling medallions are decorative architectural features that act as a larger emphasis to the ceiling canopy. The canopy is the part of the light that goes against the ceiling. I LOVE medallions. 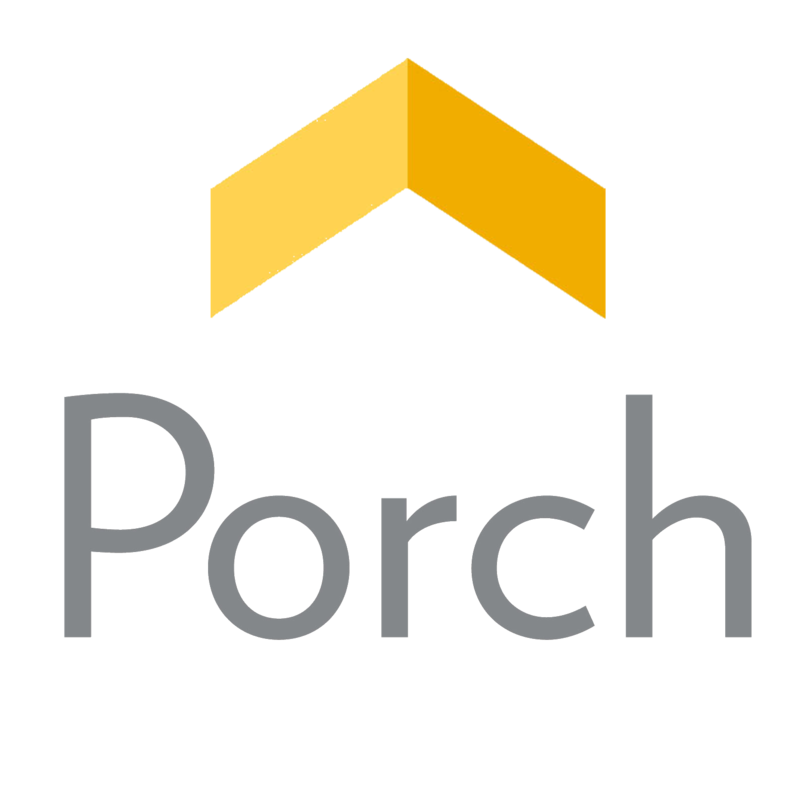 SO much has been done to out house over the years, that I don’t know if they would have been here originally, but I suspect that they would have been. They are definitely common, and hopefully I’m not creating some sort of faux pas by adding them into the house. 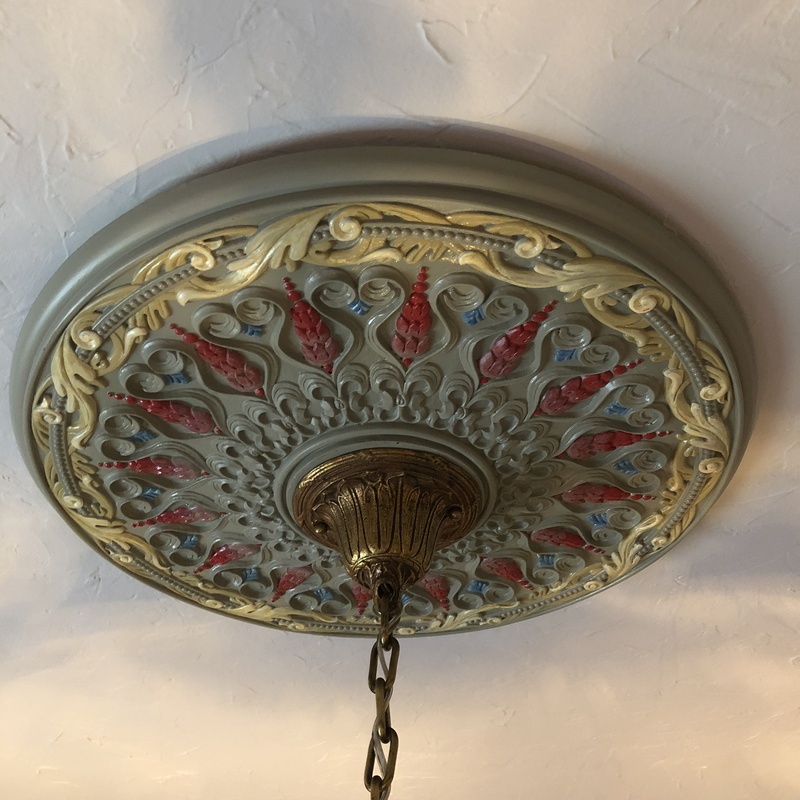 Many ceiling medallions in historic homes are plaster. 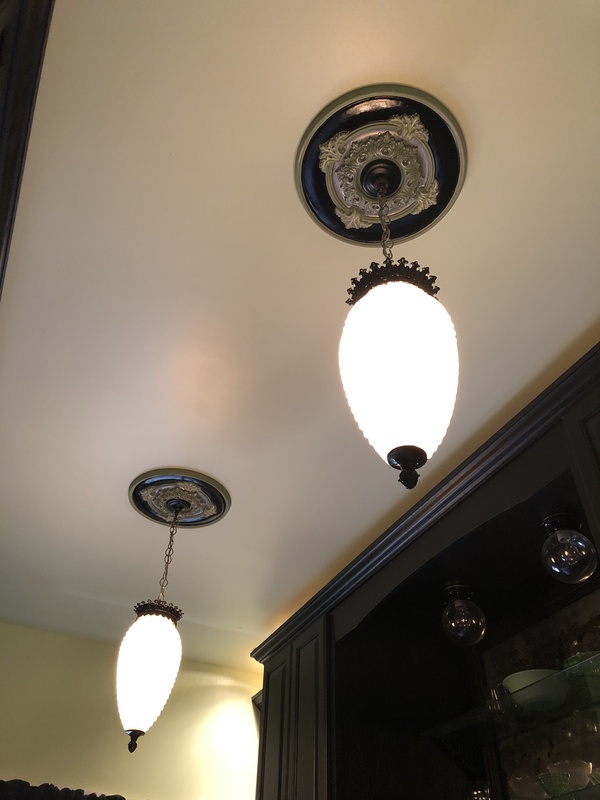 I’m not that skilled (or that rich), so I’ve been using PVC medallions. Not original materials, clearly, but they are light and easy to work with. People always ask where I get mine, and it’s usually at Architectural Depot, because they have a huge variety of options. I thought once about using the same medallion in each room for consistency, but it was fleeting. Just like historic lights (and rooms, really), each one has their own personality. So the medallions should, too. The medallion for the Study is going to be HUGE. Much larger than I would normally put in a room this size. But, the light that I’m using in here has a huge 10″ canopy, so my options were limited. I think it’ll be a big statement for sure. I’m really looking forward to doing the detail work. I’m not sure how many colors I’m using yet, but I’ll keep you posted. I find hand painting medallions so calming and relaxing. 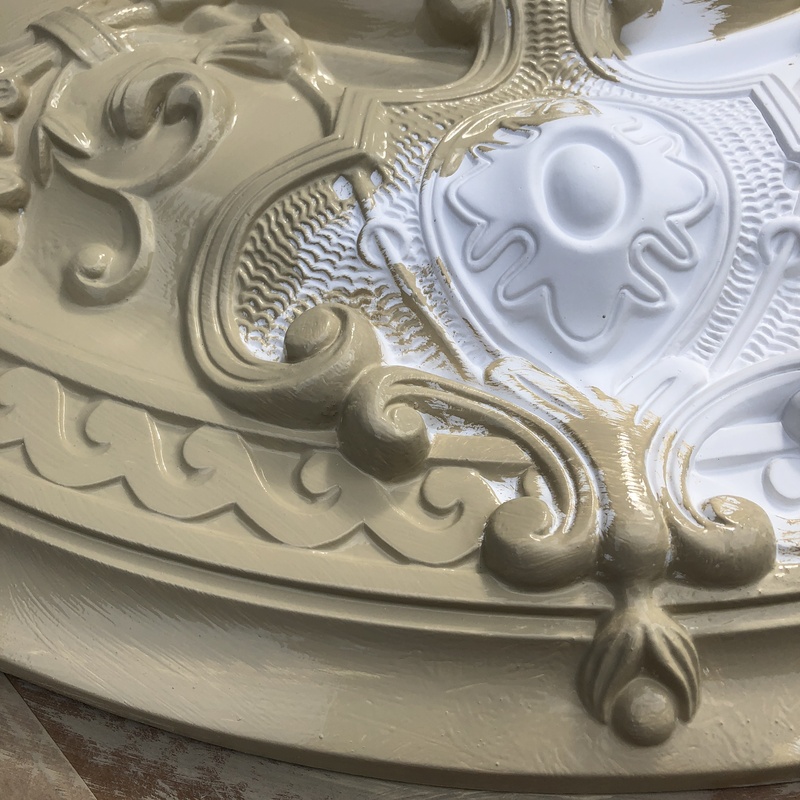 Another advantage to using new medallions, is the ability to paint them on the ground, and not up in the air. 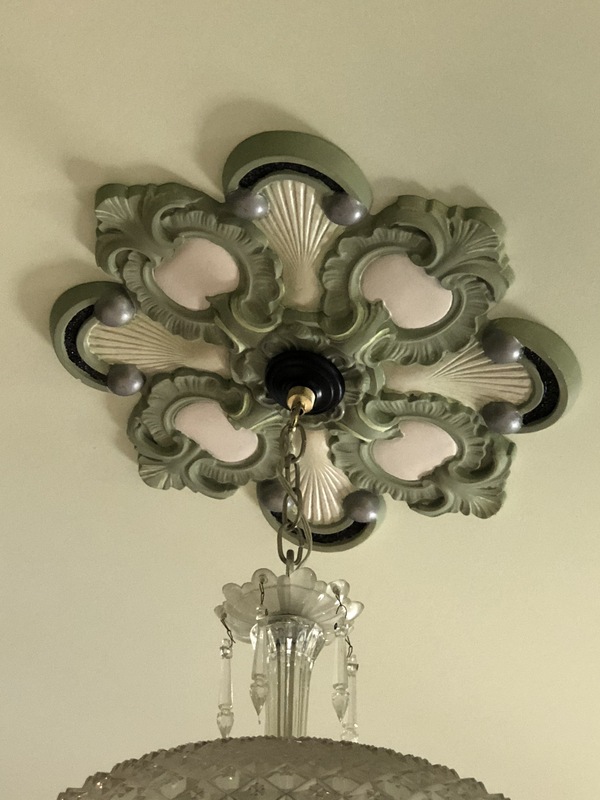 Whatever color is going to be your main color, paint the entire medallion with that shade. Here, I’m using the wall color – it’s a beige with a hint of gold. Here’s where I am now – all the detail work will come soon! Here are the other medallions we have! The Laundry Room. 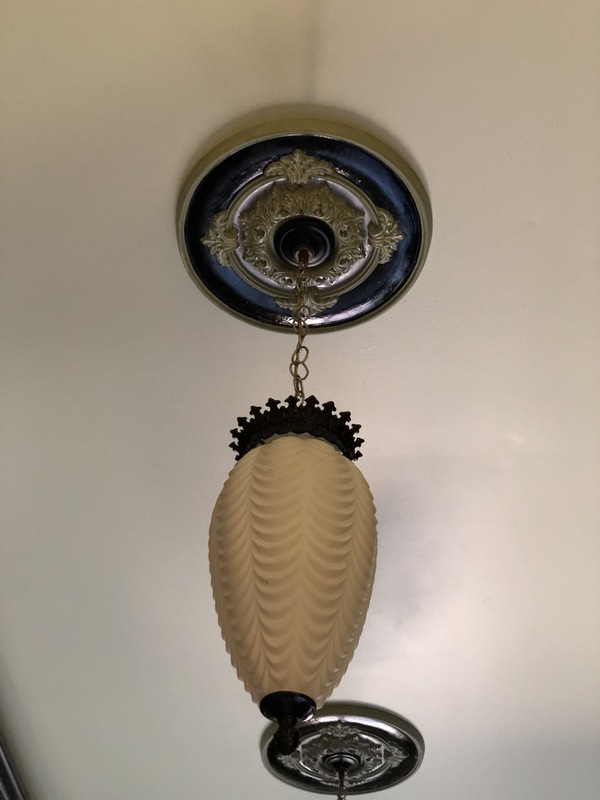 This one was in the house when we bought it – it’s a relatively common one from a big box store. 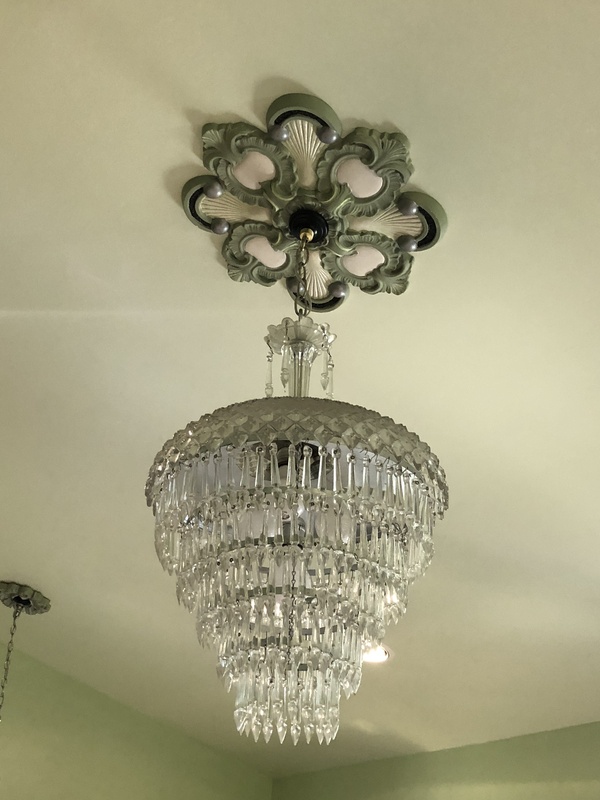 I re-used it and painted it the same shade as the chandelier. The First Floor Bath. 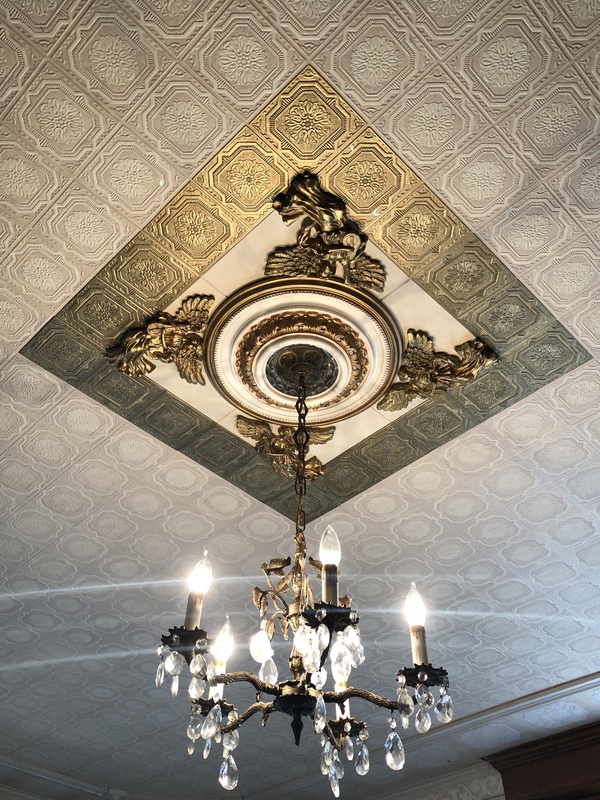 Just like I love rooms that aren’t square, I love ceiling medallions that aren’t round. A lot. The front bedroom. This room is the exception to my “No White Ceilings” rule. And the medallion needed to fit that. I felt like I was cheating, but it was the right call. The Balcony Bedroom. I didn’t paint this one! 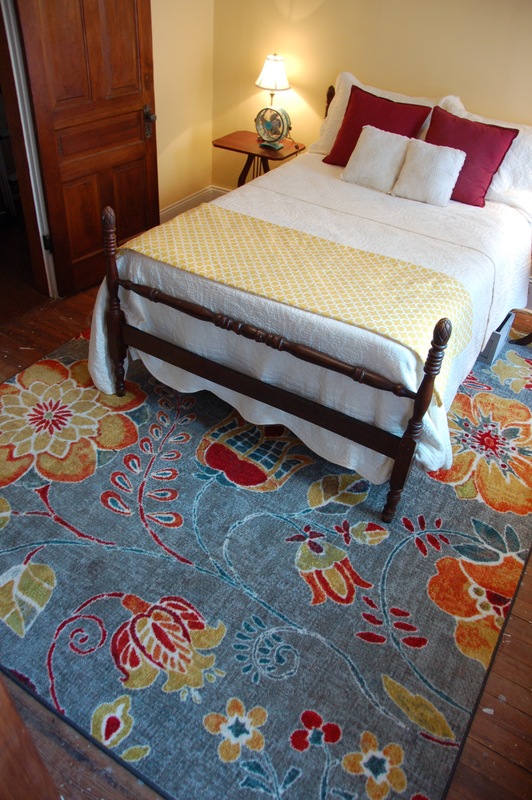 I found a carpet for the room that I loved, and the next week, this gem was at Madison Street Salvage, already painted in the colors for the carpet. It was meant to be. 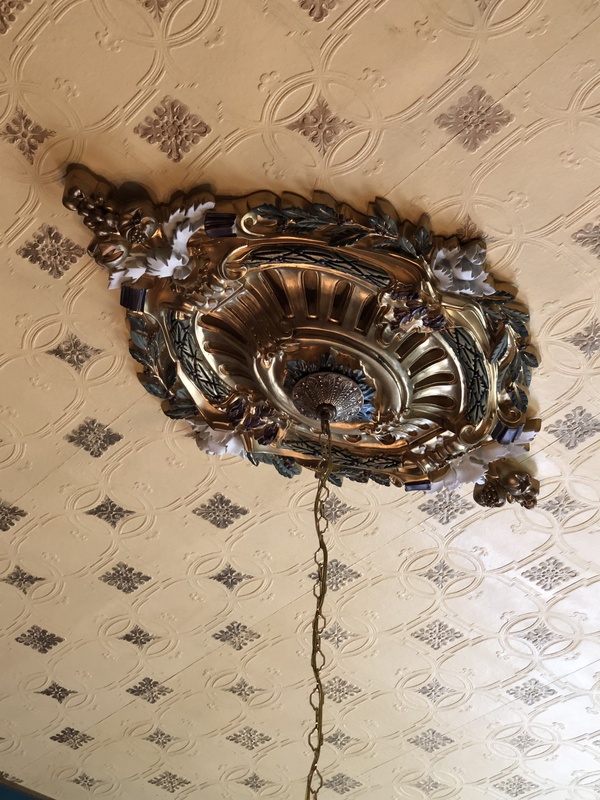 This medallion is in the Parlor, and we did not put it here. 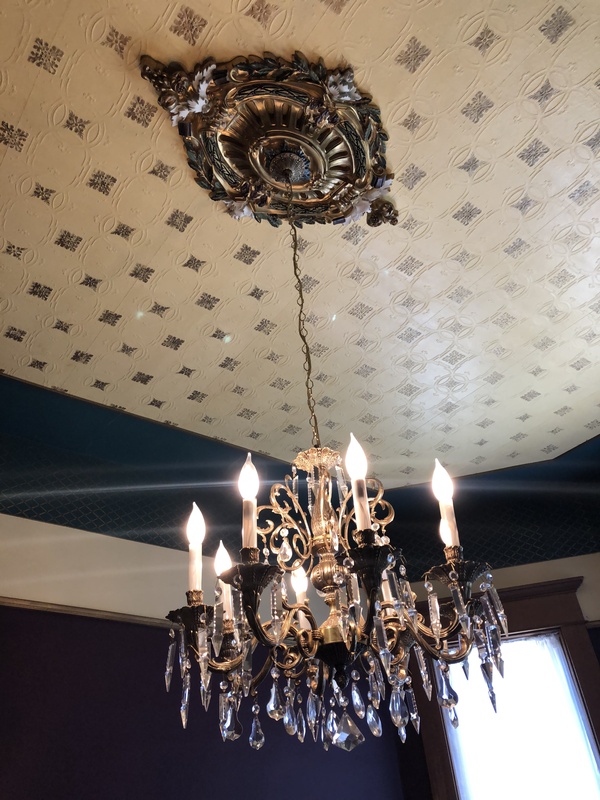 It’s not old, but I like it a lot, and I hope when the damaged ceiling comes down we can save it. This medallion plus angels is in the front Entrance Hall. Again, not old. We don’t hate it – it’s kind of a conversation piece. But, it’s really undersized for the space. I could see removing it and putting it somewhere else to spark conversation! Maybe. We’ll see. 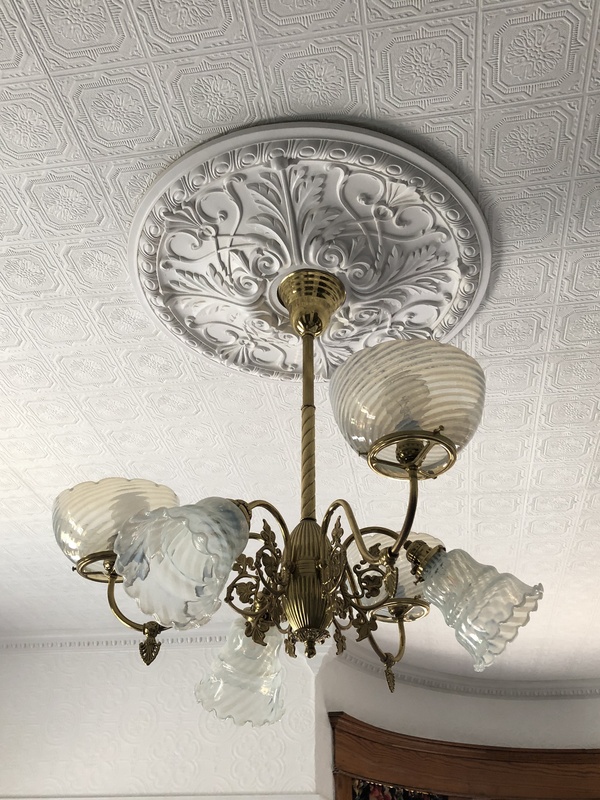 I’ll keep you posted on the study ceiling medallion – I hope to have it done this week! 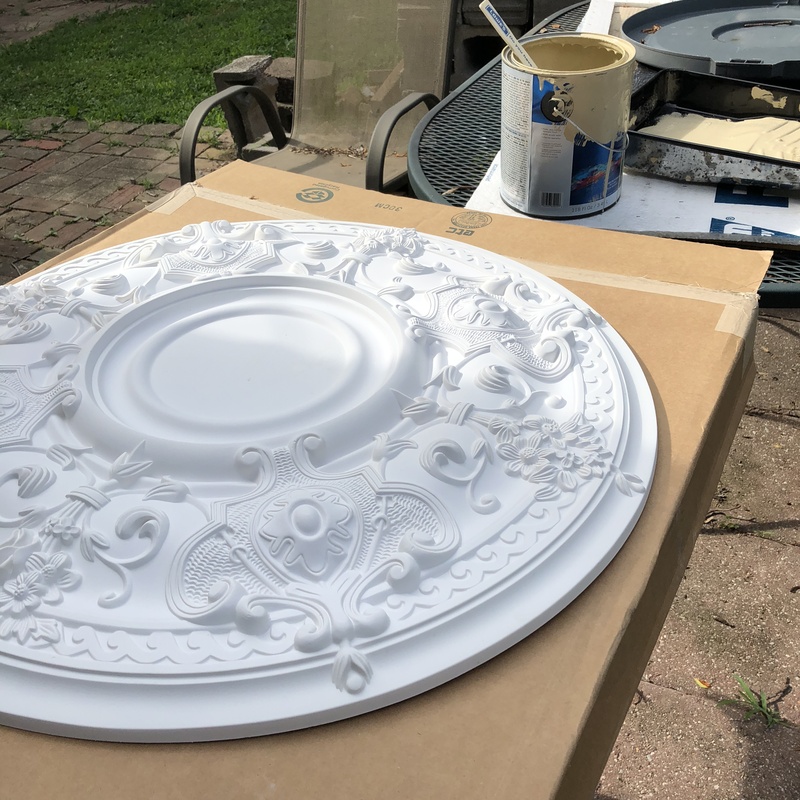 Your ceiling medallions are all super nice, you’re doing an awesome paint job everytime! i love the ones that are not round too, it brings some originality to the room! I love all your medallions! 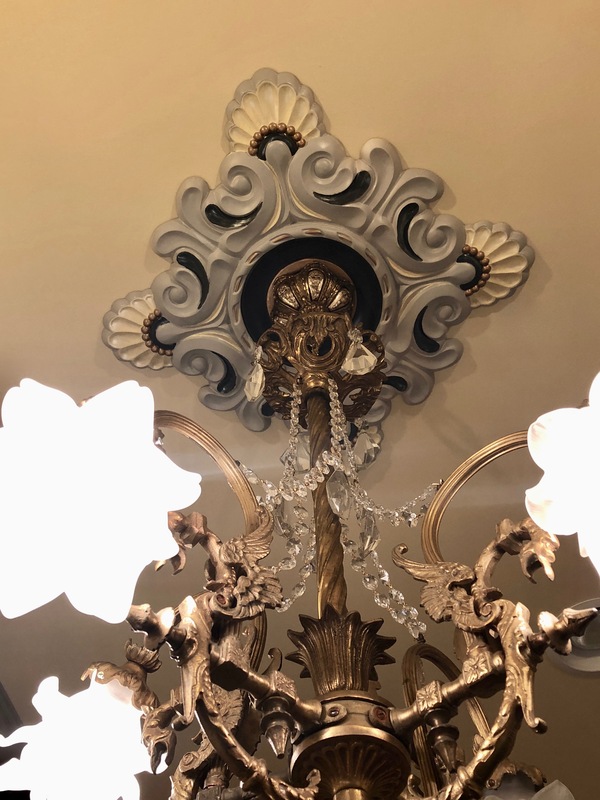 I couldn’t see the flaws even in the close up picture of the dining room medallion.